CASH IS KING;is a known fact, that it is the basis of any business. No bills, employees or for that not even you would be paid without cash. Expansions or addition to businesses happen only through cash. 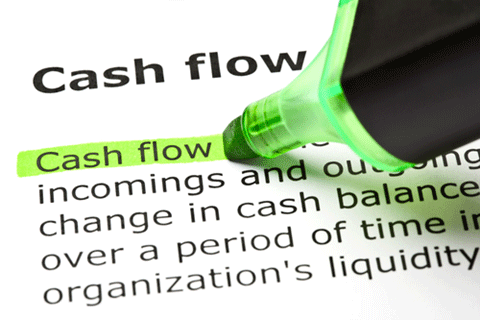 In financial terms, cash flow statement is a statement (report) of flows (both in and out of the business) cash. A cash flow statement provides information about the changes in cash and cash equivalents of a business by classifying cash flows into operating, investing and financing activities. It is a key report to be prepared for each accounting period for which financial statements are presented by an enterprise. Monitoring the cash situation of any business is the key. The income statement would reflect the profits but does not give any indication of the cash components. 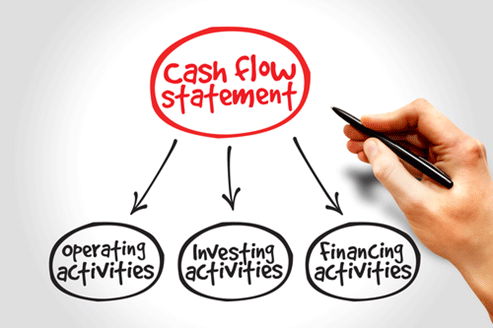 The important information of what the business has been doing with the cash is provided by the cash flow statement. Like the other financial statements, the cash flow statement is also usually drawn up annually, but can be drawn up more often. It is noteworthy that cash flow statement covers the flows of cash over a period of time (unlike the balance sheet that provides a snapshot of the business at a particular date). Also, the cash flow statement can be drawn up in a budget form and later compared to actual figures. Cash flow statement shows inflow and outflow of cash and cash equivalents from various activities of a company during a specific period under the main heads i.e., operating activities, investing activities and financing activities. Information through the Cash Flow statement is useful in assessing the ability of any enterprise to generate cash and cash equivalents and the needs of the enterprise to utilize those cash flows. Cash flow activities are to be classified into three categories :This is done to show separately the cash flows generated / used by these activities, thereby helping to assess the impact of these activities on the financial position and cash and cash equivalents of an enterprise. Operating activities are the activities that comprise of the primary / main activities of an enterprise during an accounting period. For example, for a garment manufacturing company, operating activities include procurement of raw material, sale of garments, incurrence of manufacturing expenses, etc. These are the principal revenue generating activities of the enterprise. Profit before tax as presented in the income statement could be used as a starting point to calculate the cash flows from operating activities. Cash receipts from sale of goods and rendering services. Cash receipts from fees, royalties, commissions and other revenues. Cash payments to suppliers for goods and services. Cash payments of income taxes unless they can be specifically identified with financing and investing activities. The amount of cash from operations indicates the internal solvency level of the company. It is a key indicator of the extent to which the operations of the enterprise have generated sufficient cash flows to maintain its operating potential. Cash flow from investing activities includes the movement in cash flows owing to the purchase and sale of assets. It relates to purchase and sale of long-term assets or fixed assets such as machinery, furniture, land and building, etc. Cash payments to acquire fixed assets including intangibles and capitalized R&D. Cash advances and loans made to third party (other than advances and loans made by a financial enterprise wherein it is operating activities). Cash payments to acquire shares, warrants or debt instruments of other enterprises other than the instruments those held for trading purposes. Cash receipt from disposal of fixed assets including intangibles. Cash receipt from the repayment of advances or loans made to third parties (except in case of financial enterprise). Cash receipt from disposal of shares, warrants or debt instruments of other enterprises except those held for trading purposes. It includes financing activities related to long-term funds or capital of an enterprise. Financing activities are activities that result in changes in the size and composition of the owners’ capital and borrowings of the enterprise. e.g., cash proceeds from issue of equity shares, debentures, raising long-term loans, repayment of bank loans, etc. Cash proceeds from issuing shares (equity / preference). Cash proceeds from issuing debentures, loans, bonds and other short/ long-term borrowings. Cash repayments of amounts borrowed. Interest paid on debentures and long-term loans and advances. Dividends paid on equity and preference capital. Indirect method that has the net profit or loss adjusted for effects of (1) transactions of a non-cash nature, (2) any deferrals or accruals of past/future operating cash receipts and (3) items of income or expenses associated with investing or financing cash flows. In the direct method, the major heads of cash inflows and outflows (such as cash received from trade receivables, employee benefits, expenses paid, etc.) are to be considered. 1. Cash receipts from customers = Revenue from operations + Trade receivables in the beginning – Trade receivables in the end. 2. Cash payments to suppliers = Purchases + Trade Payables in the beginning – Trade Payables in the end. 3. Purchases = Cost of Revenue from Operations – Opening Inventory + Closing Inventory. 4. Cash expenses = Expenses on accrual basis + Prepaid expenses in the beginning and Outstanding expenses in the end – Prepaid expenses in the end and Outstanding expenses in the beginning. Indirect method of ascertaining cash flow from operating activities begins with the amount of net profit/loss. This is so because statement of profit and loss incorporates the effects of all operating activities of an enterprise. However, Statement of Profit and Loss is prepared on accrual basis (and not on cash basis). Moreover, it also includes certain non-operating items such as interest paid, profit/loss on sale of fixed assets, etc.) and non-cash items (such as depreciation, goodwill to be written-off, etc. Therefore, it becomes necessary to adjust the amount of net profit/loss as shown by Statement of Profit and Loss for arriving at cash flows from operating activities. Statement of cash flows provides important insights about the liquidity and solvency of a company which are vital for survival and growth of any organization. It enables analysts to use the information about historic cash flows for projections of future cash flows of an entity on which to base their economic decisions. By summarizing key changes in financial position during a period, cash flow statement serves to highlight priorities of management. Comparison of cash flows of different entities helps reveal the relative quality of their earnings since cash flow information is more objective as opposed to the financial performance reflected in income statement. Cash Flow Statements help in knowing the liquidity / actual cash position of the company which funds flow and P&L are unable to specify. Any discrepancy in the financial reporting can be gauged through the cash flow statement by comparing the cash position of both. Cash is the basis of all financial operations. Therefore, a projected cash flow statement will enable the management to plan and control the financial operations properly. Cash Flow analysis together with the ratio analysis helps measure the profitability and financial position of business. Cash flow statement helps in internal financial management as it is useful in formulation of financial plans. 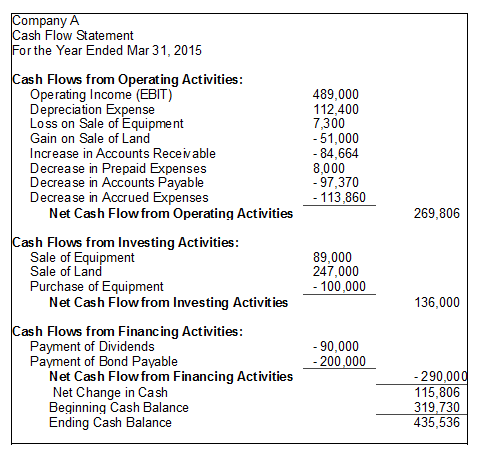 Cash flow statement cannot replace the funds flow statement. Each of the two has a separate function to perform. The crux of any business is profits, well depicted by the Cash in the company. As it is rightly said by Chris Chocola, “The fact is that one of the earliest lessons I learned in business was that balance sheets and income statements are fiction, cash flow is reality”. Next How Does Whatsapp Generate Revenue?